China won all three titles available as the International Swimming Federation (FINA) Synchro World Trophy began in front of their own fans in Yangzhou. 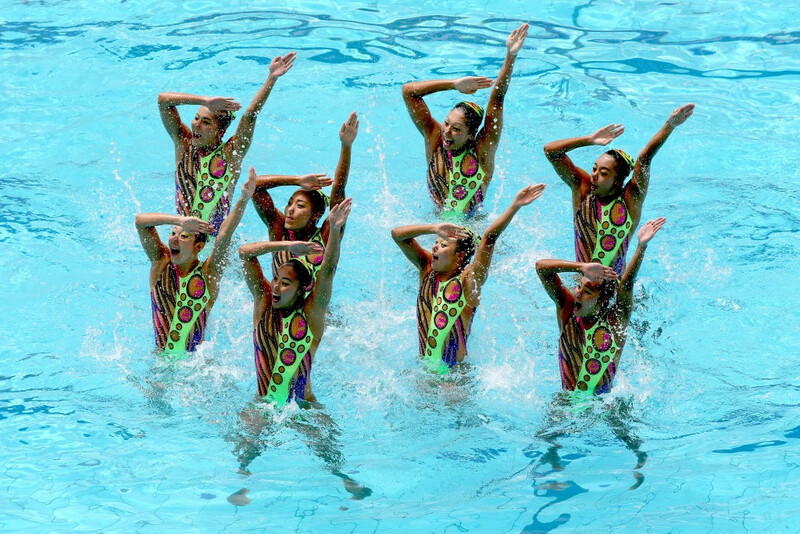 Hosts China will aim to retain the International Swimming Federation (FINA) Synchro World Trophy for a fifth consecutive year when the annual event gets underway in Yangzhou this weekend. Synchro Australia President Brian Miller has announced that Hancock Prospecting and the Georgina Hope Foundation have become the first principal partners of the national governing body. Russia produced a sparkling routine to claim their fifth consecutive team Olympic sychronised swimming gold medal on another dominant day for the nation in the sport at the Maria Lenk Aquatic Center in Rio de Janeiro. Russian duo Natalia Ishchenko and Svetlana Romashina have won the women's synchronised swimming duets gold medal with a score of 194.99, securing their nation's fifth consecutive Olympic title in the competition. Nearly one million gallons of clear water is to be transferred from a nearby practice pool to replace the green-tinged water at the Maria Lenk Aquatics Center here after organisers have abandoned attempts to return it to its natural state. Hosts Russia dominated the 2016 International Swimming Federation (FINA) World Junior Synchronised Swimming Championships, claiming the four titles on offer across the five days of competition at the Aquatics Palace in Kazan. Ukraine secured a Rio 2016 berth after claiming gold on the final day of the International Swimming Federation (FINA) Synchronised Swimming Olympic Games Qualification Tournament at the Maria Lenk Aquatic Centre in Rio de Janeiro. Ukraine and Japan took a giant step towards securing an Olympic Games berth as they finished in the top two places respectively on the first day of team action at the International Swimming Federation (FINA) Synchronised Swimming Olympic Games Qualification Tournament in Rio de Janeiro. Overnight leaders Gemma Mengual and Ona Carbonell of Spain wrapped up victory in the women’s duet event as seven pairs secured places at Rio 2016 at the International Swimming Federation (FINA) Synchronised Swimming Olympic Games Qualification Tournament. 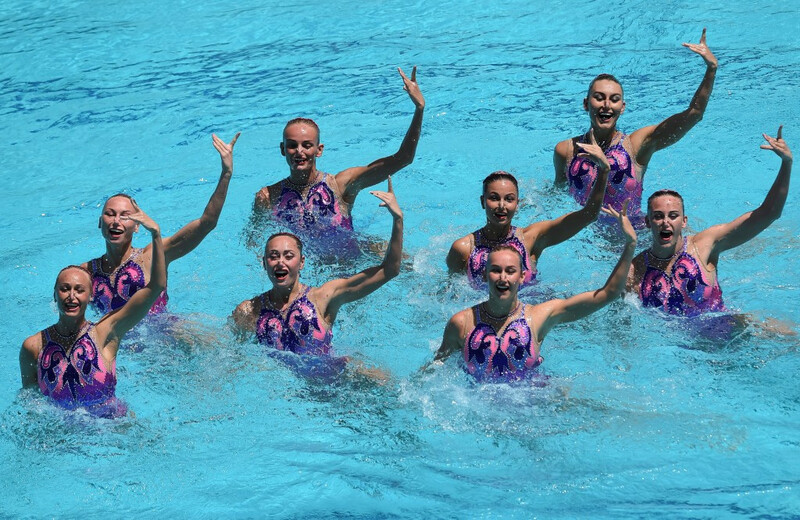 Spanish pair Ona Carbonell and Gemma Mengual are the top duet after the first day of the International Swimming Federation (FINA) Synchronised Swimming Olympic Games Qualification Tournament in Rio de Janeiro. Three final places in the Rio 2016 team competition will be decided at the International Swimming Federation (FINA) Olympic Games Synchronised Swimming Qualification Tournament, which is due to start tomorrow.